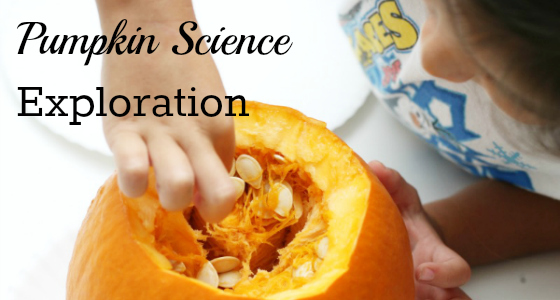 Developing an understanding of basic concepts can be done in fun and playful ways. 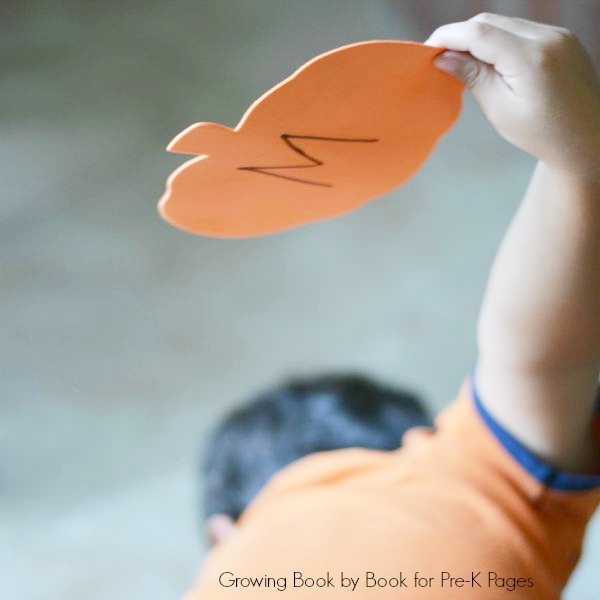 Incorporating that learning with great children’s books enhances the learning process. 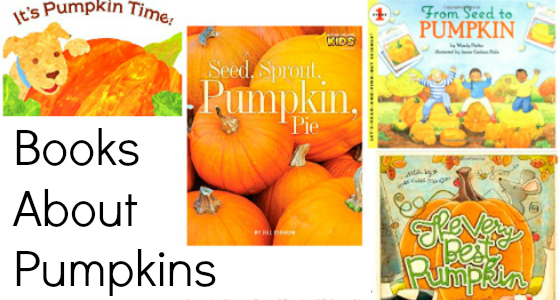 Here is a fall themed book and whole group gross motor activity to practice common preschool concepts such as counting, color, and size. 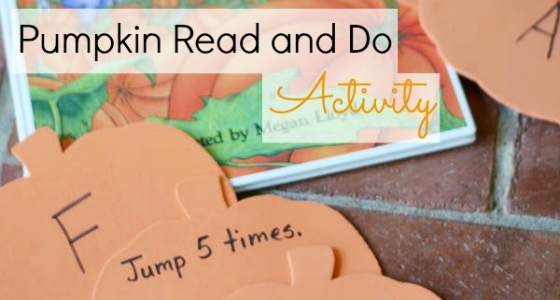 In this activity, children will listen to a read aloud. 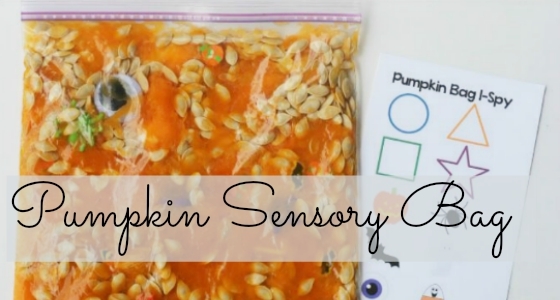 To extend the story, the children will do an activity that will develop gross motor skills and display an understanding of basic preschool concepts. 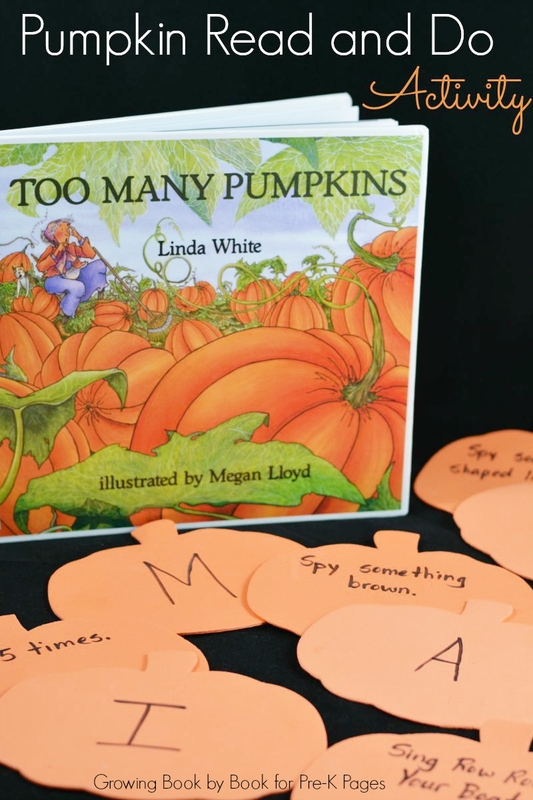 Too Many Pumpkins by Linda White is the story of a woman who does not like pumpkins. But, when a pumpkin delivery truck loses part of a load, the woman can’t seem to clean up the whole mess. The following year, she discovers that her backyard is full of too many pumpkins. What will she do? Gather the children close so that they will all be able to see the pictures while you read. Remember to read with expression. Occasionally, stop and ask the kids to predict what will happen next in the story. 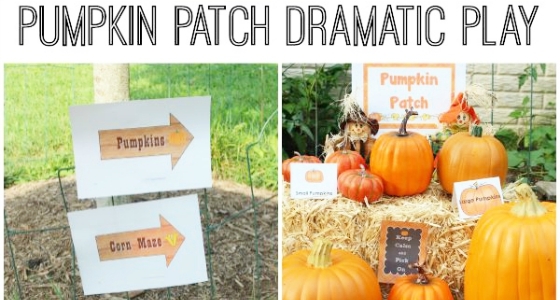 A few good places to pause and ask, “What do you think will happen next?” is right before the pumpkin truck loses the pumpkins, after the woman decided not to clean up the pumpkin mess, and right before she shares the idea to get the people to visit. Clap your hands 5 times. Spy something shaped like a circle. Run in place and count to 10. Find a large open area to play. Place all the pumpkins with the letter side facing up in the middle of the area. Introduce the activity to the children. 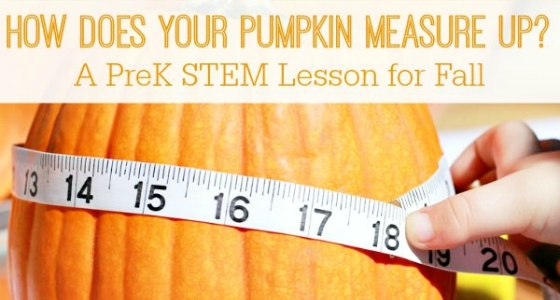 Tell the students to stand around the pumpkin patch in a circle. As a group, chant, “So many pumpkins in the pumpkin patch. Which little pumpkin will I catch?” as the group walks clockwise making a circle around the pumpkins. 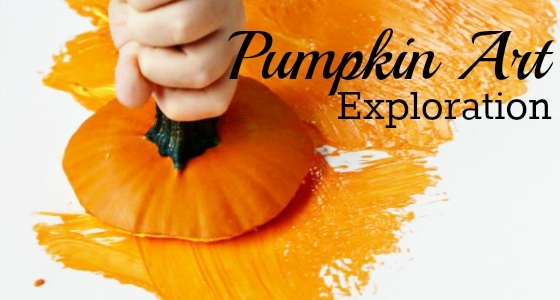 When the chant stops, select one student to pick a pumpkin and identify the letter on the pumpkin. The teacher reads the prompt on the back and the whole class performs the task. 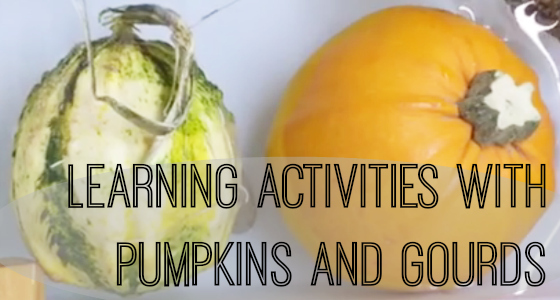 Repeat the chant, pumpkin pick, and activity prompt until each child has had a turn to pick a pumpkin. 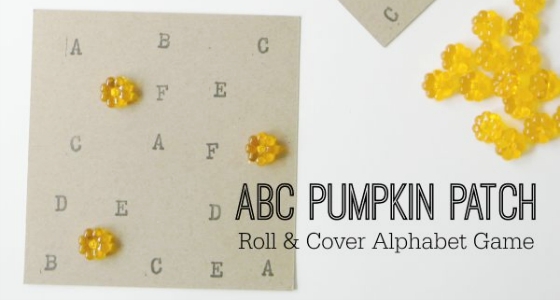 Option: Instead of letters, print numerals or shapes on the pumpkins for students to identify before performing the activity. BIO: Jodie is the creator of Growing Book by Book where she shares book lists, reading and writing activities, and literacy building tips for young children. 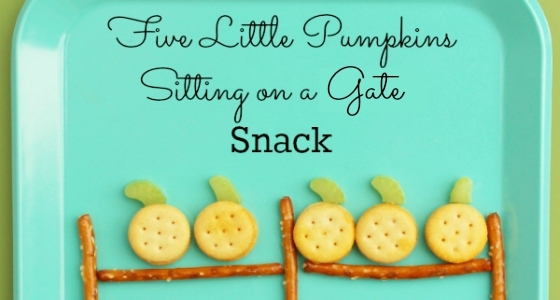 She is also the proud mom of 2 little boys- check out her playful preschool literacy activities for the whole school year! You can connect with her on Facebook and Pinterest. This looks like such a terrific idea Vanessa! 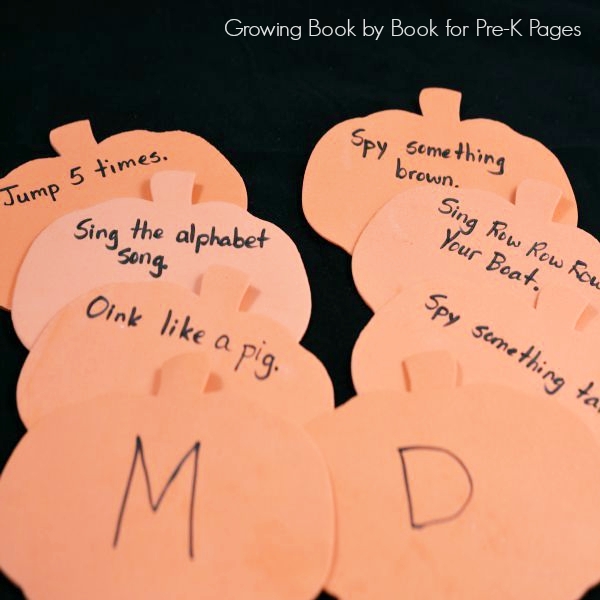 I’m going to give this a try with our 4-5 year old kindergarteners this week in the library. Thanks for the inspiration! 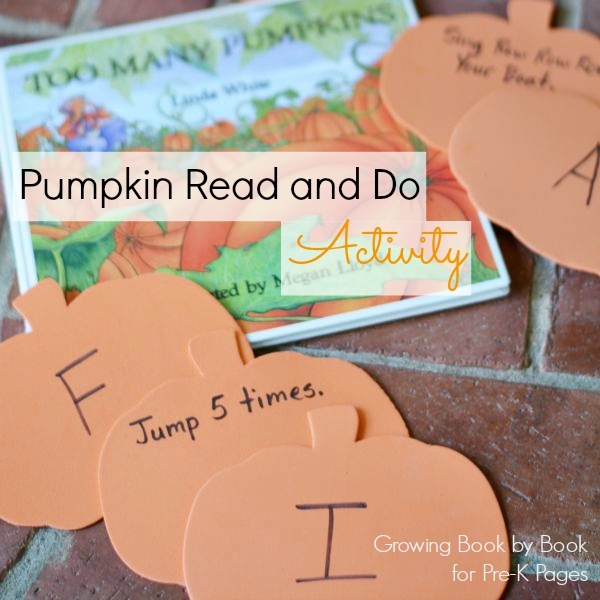 Too Many Pumpkins is one of my favorite books to read around Fall/Halloween! 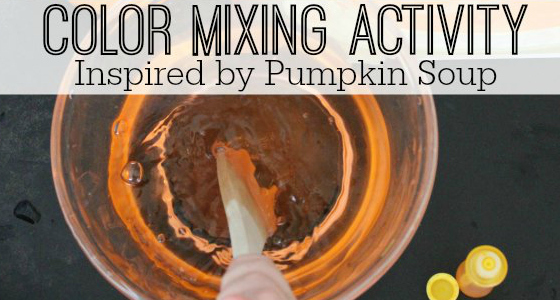 I love the activities suggested and plan to do these with my students.